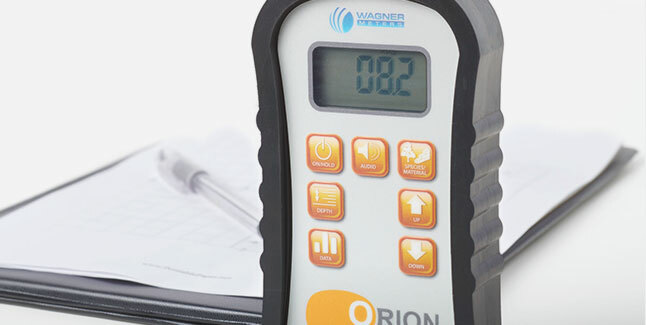 The new Orion series is the next generation of pinless moisture meters from Wagner Meters featuring accuracy, versatility, and quality that can’t be found in other meters. Incorporating enhanced technology based on feedback about our beloved MMC line, the new Orion line (with multiple patents pending) leaves our competitors in the sawdust. 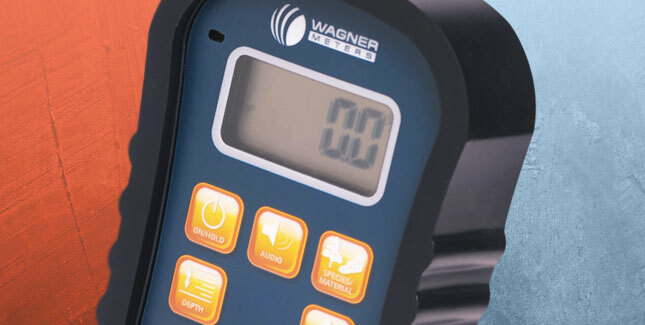 Wagner Meters is proud to include the Orion line of pinless moisture meters within our Genuine Wagner 7-Year Warranty program. The longest lasting warranty in the industry! 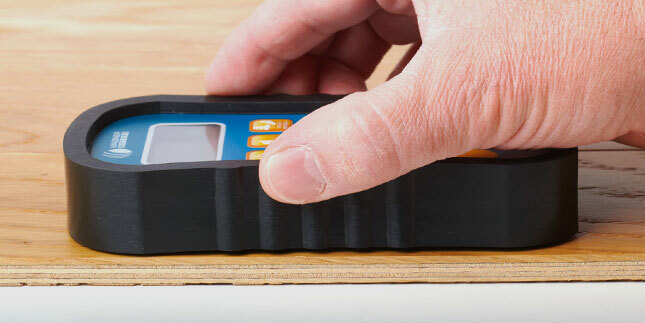 The Orion 910 Deep Depth Pinless Moisture Meter is ideal for reading the moisture content in wood thicknesses from .75” (19mm) to 1.5” (38mm). The Orion 920 Shallow Depth Pinless Moisture Meter provides the capability to measure moisture content from the surface down to ¼” in the wood specimen. This is particularly useful for checking wood moisture content after application of waterborne finishes or for thin wood such as checking moisture content during wood flooring acclimation. No need to return your Orion to the factory for calibration. Every Orion meter comes with its own paired calibration reference allowing you to easily calibrate your meter anytime, ensuring that you will always be able to obtain accurate moisture measurements. 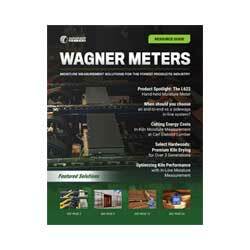 A NIST-traceable version, with a certificate of the calibration reference, can be purchased. 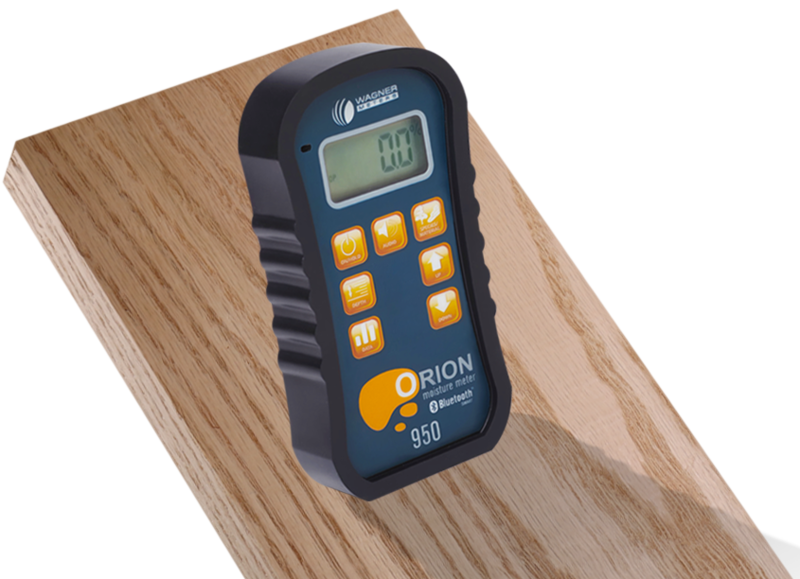 Get the best of both worlds: The Orion 930, 940, and 950 moisture meters provide readings at ¼” and ¾” depth modes to measure the moisture content of thin samples such as wood floors or deeper into thick wood samples to find moisture further into the wood. Orion 910, 930, 940, and 950 pinless wood moisture meters incorporate IntelliSense™ technology in their ¾” deep reading modes. This enables accurate determination of the moisture content deeper in the wood while minimizing the effect that surface moisture will have on the meter readings. 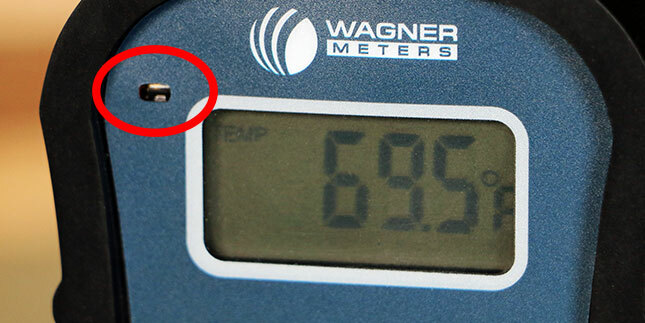 Pin-type meters may be able to bypass the surface conditions, but they also damage the surface of the wood every time you take a reading. Air humidity, condensation, or other ambient conditions can impact many moisture meters and give inaccurate readings that cost you money. Every Orion pinless meter is virtually unaffected by the temperature of the wood or the environment. Unlike pin meters, Orion’s sensing technology does not need correction or adjustment to account for the temperature of the wood. 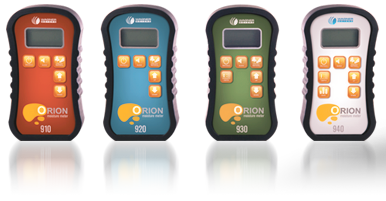 The Orion 940 and 950 can collect data in two modes…either manual or automatic with viewable moisture stats. 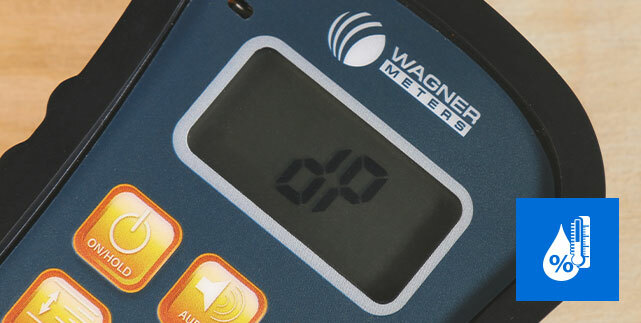 Both meters can hold data storage of up to 100 readings and includes high-low-average analysis. 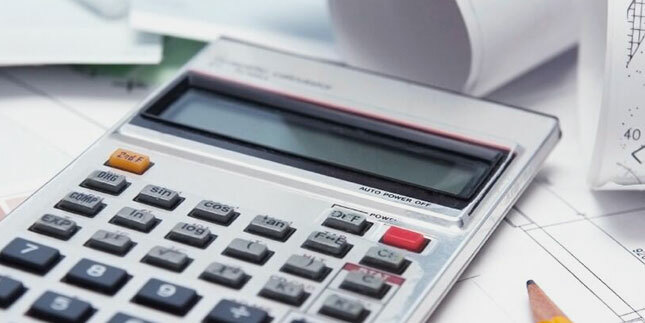 Utilize the 950’s smart capabilities to send out that data into job-specific reports. The Orion 950 interacts through Bluetooth technology with both Woodshop MC™ and FloorSmart™ free mobile apps for your Android or Apple smart device. The apps are available on either Google Play or iTunes. You can receive and record data, set specifications for separate jobs, and much more! Get the ambient temperature and relative humidity measurements of any room the Orion 950 is in with its built-in sensor. 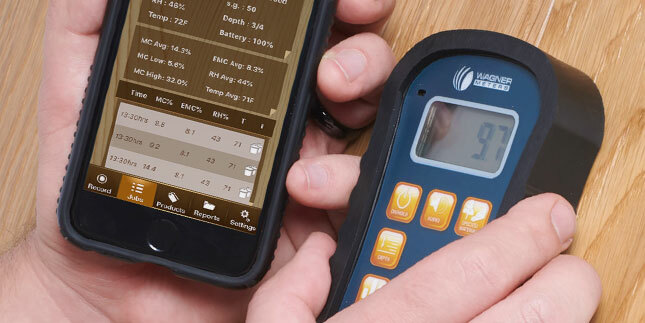 It’s like having a Smart Logger™ and a moisture meter all in one! 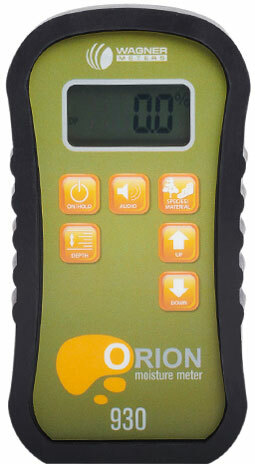 On every Orion moisture meter, if you press down once on the ON/HOLD button it will hold the moisture reading you took. This is quite useful if you’re measuring in a hard to reach area. 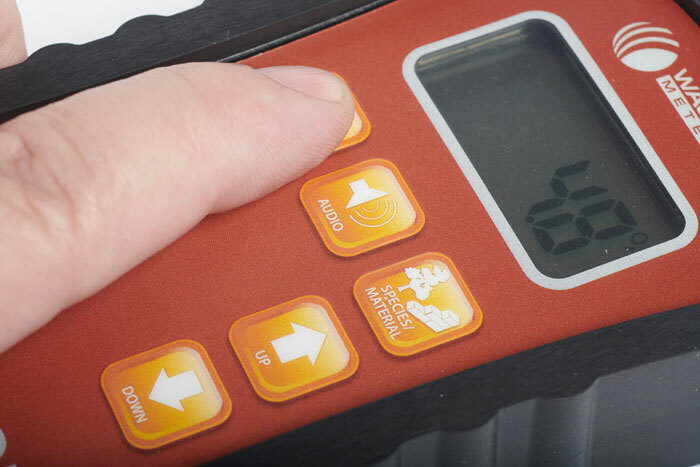 With simple up/down arrow buttons, your Orion meter can be easily and quickly set for the wood species you need to measure, and the range of settings accommodates practically any softwood or hardwood species in the world. 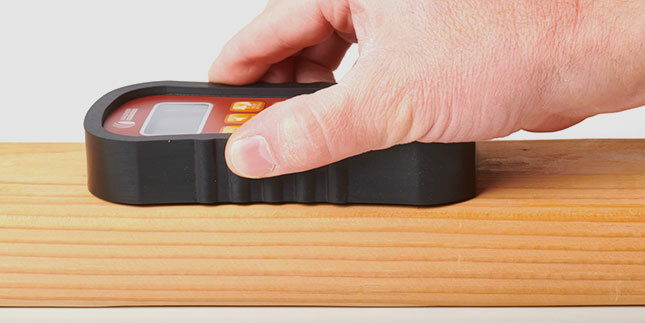 Orion’s can also be user-configured to measure some non-solid wood products such as plywood, OSB, or MDF. The Orion line even has settings information for many bamboo flooring products. 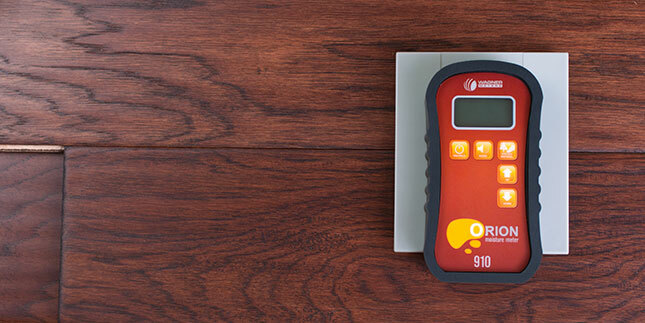 A relative moisture measurement mode allows for taking relative moisture measurements in non-wood based materials and engineered wood flooring. 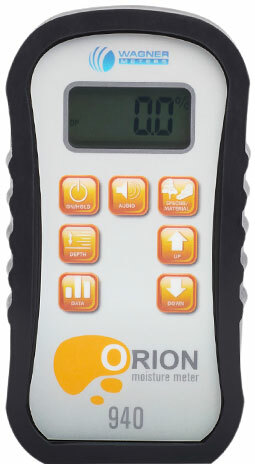 This means you can use an Orion moisture meter to obtain relative moisture conditions on a number of non-wood building materials and flooring products. 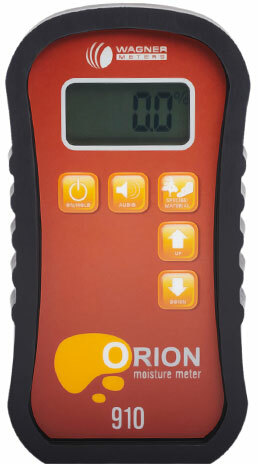 Throw out your calculator because the Orion 950 will calculate the dew point of the environment for you. Utilizing the built-in temperature and humidity sensor the Orion 950 will calculate and display the current dew point whenever and wherever you need. 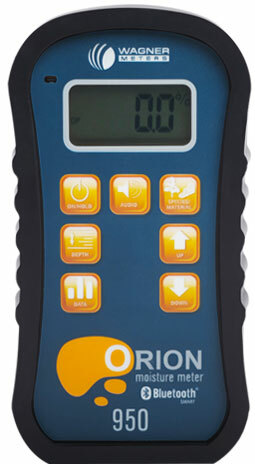 The Orion 950 will also calculate the equilibrium moisture content (EMC) of the environment where your wood is stored. This will allow you to verify that your shop or plant environment is conducive for the proper acclimation of wood. Grains per pound/kilogram (GPP/GPK) is a more precise measurement to know the exact weight of water vapor that is in the surrounding air. 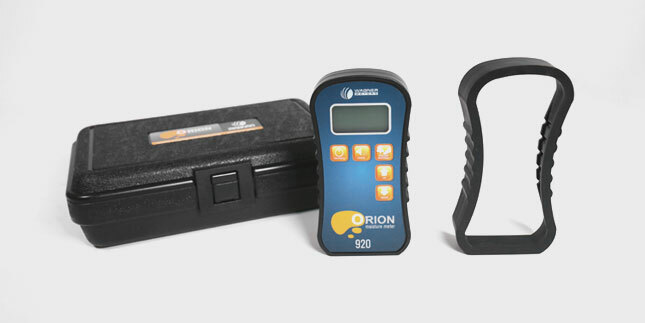 The Orion 950 will calculate and display instantly the grains per pound/kilogram, also known as the specific humidity of the air, compared to relative humidity. 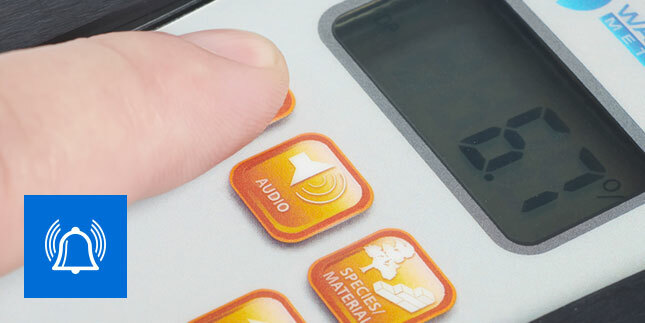 Every Orion includes a user-programmable, audible alarm for high moisture content levels. 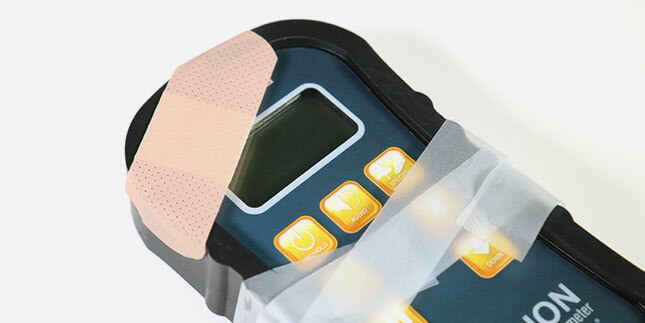 Every Orion moisture meter comes with a stylish rubber boot to help protect your meter from accidental drops or bumps just like a phone case protects a phone. 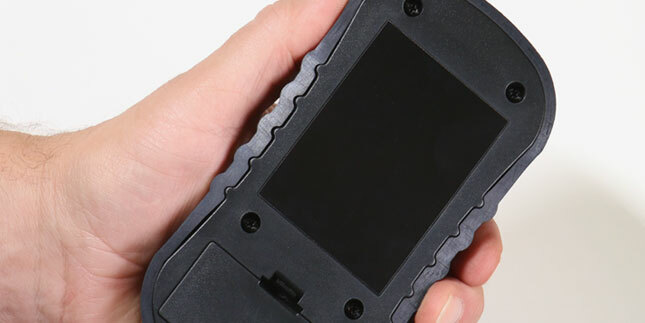 In addition, a foam-lined rugged hard case is provided for your Orion and its calibration reference. The Orion 950 will also calculate if a wood specimen is at the critical threshold where it has reached its equilibrium with the environment and will no longer gain or lose moisture. 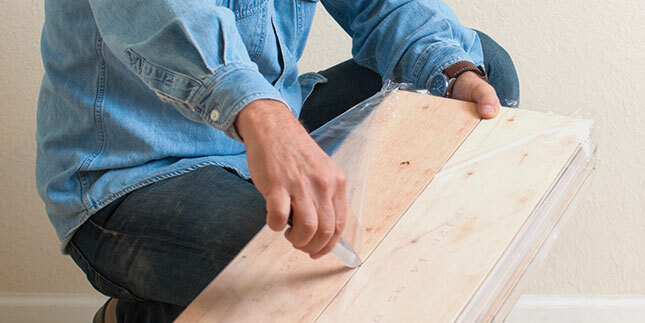 The equilibrium moisture content (EMC) will tell you when your wood floor or wood projects are ready for installation or fabrication.